Check out the latest addition to our family – The Light Beam Multi-Band Antenna! You spoke… we listened! 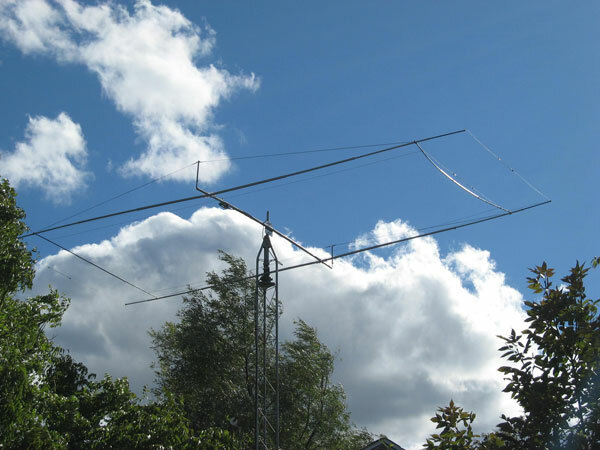 When we conducted our recent survey, we found that Ham Radio operators wanted a multi-band antenna that is more compact than most, yet provides excellent performance, all at a reasonable price. Our team at Light Beam Antenna is confident that this antenna provides exactly what you asked for. Reserve your antenna now and receive a substantial discount! The innovative design of the boom is a very strong laminated structure of both fiberglass tubing and aluminum tubing. The elements are reinforced to withstand ice and snow loading as well. With less than 5 square feet of surface area, wind loading is low, eliminating the need for a heavy-duty tower and rotor. Our team at Light Beam Antenna is confident that this antenna provides exactly what you have been asking for – a multi-band antenna that is more compact than most, yet provides excellent performance, all at a reasonable price. Retail price for this antenna will be $475, but we are pleased to present you with an opportunity to reserve your Light Beam Multi-band Antenna for only $350. Antennas that have been reserved will be shipped in April 2013. This is a limited time offer ending March 1, 2013, so don’t miss out! Find out all the details and reserve your antenna at lightbeamantenna.com.